Do you have a love for both teaching and learning? Are you a parent who wants to instill the importance of learning into your kids? Would you yourself like to become a lifelong learner? Well, then Enroll.com might have something for you. Founded in June 2012 as part of a community outreach program for underprivileged youth, Enroll now utilizes technology to reach across those same boundaries and help all students, everywhere. Enroll’s goal—according to its website—is “to create the most unique and powerful collaborative learning ecosystem that allows students, parents, educators, tutors, and organizations to connect.” Whether you are a student, educator or parent, Enroll achieves this goal by creating an online community of tools and resources for learning to take place online and worldwide. It is required of all users to also be students in some capacity. Enroll is similar to Udemy, in that it does bring students and instructors together under one site and have course opportunities for both those teaching and those learning. However, with Enroll it has a more encompassing role in that it includes the parents of children under 18 years of age, who will be interacting on the site along with the educators. It could almost resemble an online version of a PTA meeting. For students, there are both colleges and scholarships to search and review. There are classes to teach or in which to enroll as long as you are at least 13 years old to be a student and 15 years old to be a tutor. 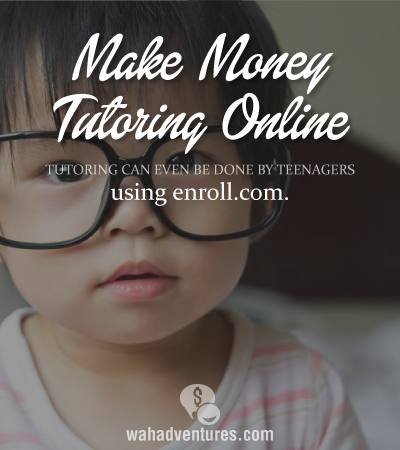 If you are 15 years old, you may only tutor those 18 and under. Parents are able to review their children’s academic progress and tutoring sessions as well as interact with other parents and teachers. Enroll can be particularly helpful to homeschooling parents as there is access to materials and opportunities, which otherwise may not have been available to them. Enroll is considered global and open to many other countries. The site also can be translated into many different languages. What Types of Classes Are Offered at Enroll? There is a long range of classes offered at Enroll. Whether you are a high school student getting ready to take the SATs or a middle school student struggling with history, there is a class and a tutor for you. You really just have to join and search. Short learning skills are taught as well as access to receive full-semester credits. You may join using your Facebook or Gmail account. Then you chose the role of student, parent or educator. Then let the learning begin. There is also a blog available with a variety of topics and articles. What Types of Opportunities Are Available? Again, there are opportunities to both learn and tutor at Enroll. Should you choose to tutor then you will create an account for yourself with a picture and a profile listing your credentials and which subjects you will be tutoring. Your first two sessions will be taught for free then you may increase your rates as your reviews and feedback increase. There is an opportunity to become e-certified™ and increase your payout from 60% to 80%. This certification is offered directly on the Enroll platform. What Are the Hours at Enroll? As with most tutoring, it is usually done “after school” or at off-hours. This will depend upon your time zone and what you have worked out with your students. Again, just be 13 years old to be a student, and 15 years old to be a tutor. However, you can only tutor those under 18 if you are 15. For educators, whether you are a kindergarten teacher or a university professor, you may take advantage of using Enroll to tutor or further engage your current students. What Equipment/Computer Requirements Are There to Work at Enroll? The computer requirements are quite relaxed. Just have high-speed Internet or even wireless Internet. Make sure that you do have anti-virus software as well as anti-malware software installed. It is really just the basic common sense things that you would normally do. Now, having said that, if you are missing a plugin to your browser, Enroll will call you out on that and let you know what to install. While there is no formal training at Enroll, they will instruct you as to how to set up your account and get started. It can be done rather quickly. Is Enroll Free to Join? Enroll is free to join. However, if you buy something or enroll in a class then, there may be a charge for that item or service. Unless, the item or class is labeled “free” then there will be a charge. You are an independent contractor at Enroll and responsible for your own taxes. Should you make over $600 a year, Enroll will send you a 1099 Income Tax Form. How Much Money Can You Make With Enroll? The money will really vary depending upon your feedback, credentials, and what you are teaching. The first two sessions you must do free to instill the sense of building a community and giving back. Plus, you will receive much needed feedback to see how you are doing. I think Enroll has many great qualities and offers them in an easy to navigate portal. I also found their blog, particularly helpful. I appreciate how Enroll understands that a global economy needs a global education and how we all need to come together to use education as a global remedy to help eradicate poverty. Well, if Facebook has anything to do with this, there are over 1 million likes. I really wasn’t able to dig up anything bad on Enroll. How Can Interested Individuals Sign Up at Enroll? Just go to the website and sign up. Good luck to all who do. It’s a great opportunity. I collaborate with a variety of students there. Mostly, by proofreading their academic writing, editing or reviewing etc. However, sometimes there are more difficult questions like how to structure a dissertation or smth. But I have opportunity to help youth and gain new knowledge for myself. Do you communicate with students through skype?